Download our latest classroom resource now! Transform your whiteboard and speed up your lessons with our brand-new, interactive whiteboard templates. If you’re tired of having to draw the same x-y axes 100 times a day, this resource is for you – and it does so much more too. 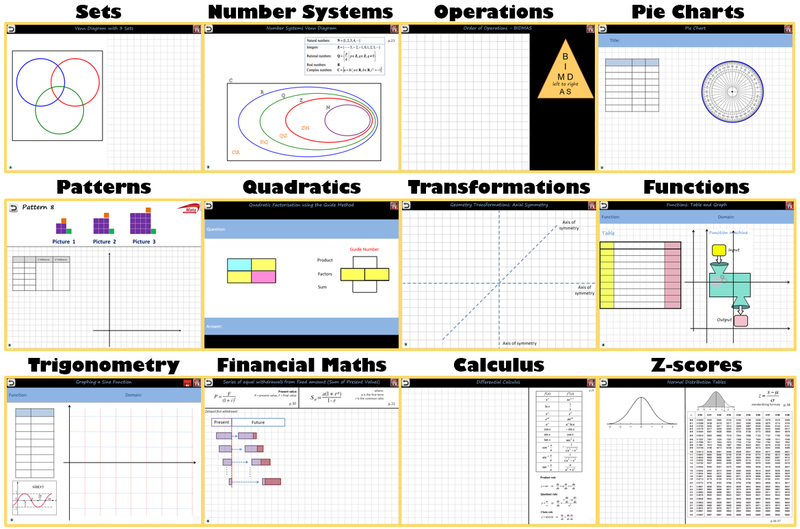 The interactive file contains whiteboard backgrounds to aid in teaching all the main mathematical topics: from sets to number systems, from coordinate geometry to trigonometric functions, from linear relationships to calculus, from financial maths to inferential statistics and lots more besides. All you have to do is download the file, project it onto your whiteboard, use the interactive menu to choose the background you need and start writing. You can’t go wrong! Download the whiteboard templates on this page….